Joseph’s story culminates in a way that demonstrates the importance of repentance on the part of his brothers and his revelation of himself to them and the great love that motivates him to finally do this. In 43.33-34, he tests his brothers, to find out how they feel about Benjamin. Is his younger brother treated by them the same way he was? Everything he does- the test his brothers must undergo regarding Benjamin (42.15), the seating arrangements (43.33), the huge portion of food (43.34), the personal cup hidden and discovered in Benjamin’s sack (44.12) – it is all done to uncover what the attitude of these brothers is towards the young boy. Joseph seems to be asking in all of this, Are my brothers the same or are they changed? Are they jealous of Benjamin? Will they sentence him to slavery as they did me? So they undergo these tests devised by Joseph to find out what they are like and to finally bring them before him. When the cup is discovered, Judah speaks for all of them, What can we say to my lord? … What can we say? How can we prove our innocence? God has uncovered your servant’s guilt. (44.16) The “guilt” includes what they had done to their brother Joseph. Judah understands what they did to Joseph is being brought out in these events as indicated earlier in 42.21 – They said to one another, “Surely we are being punished because of our brother. We saw how distressed he was when he pleaded with us for his life, but we would not listen; that is why this distress has come upon us. Judah now casts himself upon the mercy of one he does not even really know yet- …please let your servant remain here as my lord’s slave in the place of the boy (44.33). Joseph’s identity is not revealed to his brothers, he is not known by them until he is certain about the state of their hearts toward Benjamin. Finally, he invites them, Come close to me! Grace, John Newton says in his great hymn, taught my heart to fear, and grace, my fears, relieved. Grace teaches us that we are guilty but that our “Joseph” desires to forgive us! And such a revelation should chase away the self-loathing I feel in the face of my sin, and bring a new experience of peace and joy. All is well! A greater-than-Joseph has invited me to come closer, and put away the distress and anger in my heart that has smothered the flames of his unfailing love. Joseph’s life is summarized by his father in Gen.49.22 – With bitterness archers attacked him; they shot at him with hostility. His own dysfunctional family betrayed him and sold him into slavery, and then he was falsely accused by Potiphar’s wife and wrongly imprisoned. The devil, the flesh, and the world let its arrows go on Joseph. But such trials and temptations, woes and worries, life in all of its worldliness and wackiness, did not stop him. In the end, he was the rescuer of his people just as his dreams foretold. 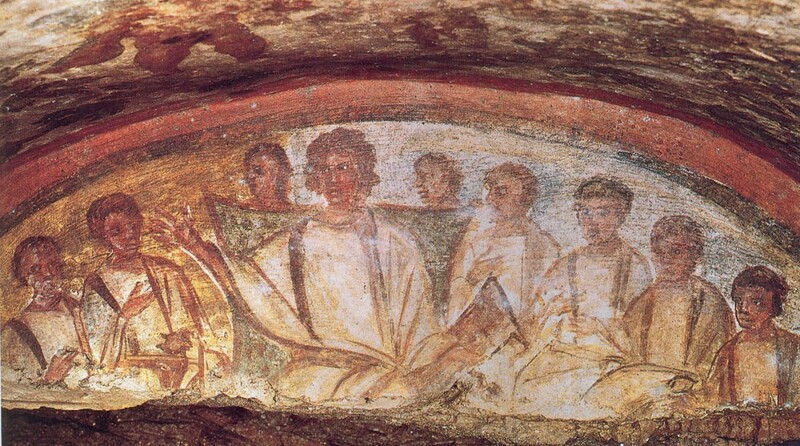 Joseph, in this regard, foreshadows Christ. Jesus was the innocent One betrayed, broken by us and for us on the cross of suffering and yet he used his new resurrection position of exalted Lord to save us all from the penalty of our sins just as Joseph would save his family from starvation and extinction. The threefold pattern of Joseph’s life mirrors Christ’s own story of obedience, humiliation, and exaltation, and it is a pattern for us, too. In Joseph’s life, perhaps more than anywhere else in the Bible, we see what life influenced by the grace of God can be like. Obedience Where God’s favor rests/ where his grace is poured out, there will be obedience. In the preceding narratives of Abraham, Isaac, and Jacob, like the narratives of our own lives, we see people repeatedly fall short of God’s expectations and promises, though, of course they continued to have faith in God, but here in the story of Joseph, at last, we meet someone who is filled to the brim with a sense of God’s love and grace, and shows me, shows you, what we are capable of – there is no room in his heart for Potiphar’s wife – How could I do such a wicked thing and sin against God? His story encourages us in our own failures that resistance to sin and obedience to God is not beyond our grasp, and our young people should especially take heart that in the highly sexualized culture of today, with the favor of God they can stand for the truth as Joseph did, as Paul says in Titus 2 For the grace of God that brings salvation has appeared to all men. It teaches us to say “No” to ungodliness and worldly passions, and live self-controlled, upright and godly lives in this present age while we wait for the blessed hope – the glorious appearing of our great God and savior, Jesus Christ, who gave himself for us to redeem us from all wickedness and to purify for himself a people that are his very own, eager to do what is good. Joseph shows us the possibilities for such a life guided by grace. Humiliation When we are favored by God there will also be humiliation. Joseph’s life shows us that doing the right thing will often cause you trouble. First Peter 4 says do not be surprised at the painful trial you are suffering as though something strange were happening to you. But rejoice that you participate in the sufferings of Christ, so that you may be overjoyed when his glory is revealed. If you are insulted because of the name of Christ, you are blessed, for the Spirit of glory and of God rests on you. This is important to remember when you are going through trials and troubles that are really not your fault. Sometimes (most of the time?) I bring my troubles on myself, but sometimes there are circumstances or people, over which I have no control. Your troubles may be the fault of your boss or your husband or your wife or your children, or some stupid law or regulation, and you have to suffer. But if we have decided to suffer in a Christ-like way, it may mean we have to bear it as did Joseph, as did Jesus. Not all suffering as a Christian will be like this, but if God’s favor is upon us, we know there will be suffering and humiliation. It is an essential part of the pattern of a Christ, the pattern of Joseph, the pattern of all who commit themselves to their God. Exaltation We know that the humiliation of Joseph does not last indefinitely, nor did Jesus’ nor will ours. Because with God’s favor is upon us there will be “exaltation” – a “lifting up” or “raising up.” Joseph accepted his humiliation and bore it well. He is the pattern. Peter says, humble yourselves, therefore under God’s mighty hand, that he may lift you up in due time. Cast all your anxiety upon him because he cares for you. …The God of all grace who called you to his eternal glory in Christ, after you have suffered for a little while will himself restore you and make you strong, firm, and steadfast. To him be power for ever and ever. Obedience, humiliation, and, finally, exaltation. That is the pattern of Joseph’s life and the pattern of Jesus’ life and our life with him. The world may be thick with arrows, but Christ’s blood is thicker still. It is not about our own strength but about Him. We can sing with the Psalmist, The Lord will perfect that which concerns me (Ps.138.8). God’s favor was on Joseph, and even more so on the greater-than-Joseph, Jesus, our Savior, who bore the arrows for us that so that we could be raised up to walk in new life with him.